Swimming with whale sharks was a highlight of the trip we created with 150,000 Membership Rewards points. 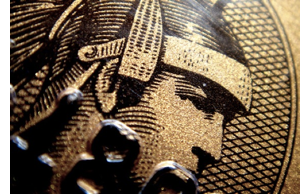 Using Pay With Points, available through American Express Travel, you can do more than merely book airline tickets. 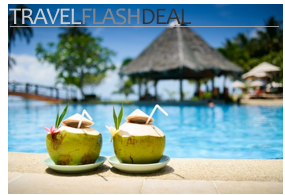 Hotels, rental cars, cruises, dining experiences, entertainment packages and even purchases through Amazon.com are payable with points. You can even use Membership Reward points to buy a diving mask with built-in video camera to film an underwater whale shark experience. 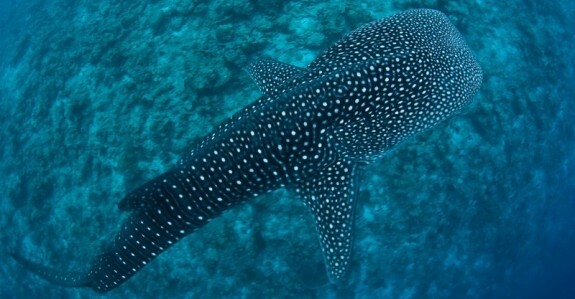 Fortunately, the whale shark is an animal that’s more whale than shark. When open, their 5 foot (1.5 meter) wide mouths are large enough for a small gazelle to fit inside. But said mouth isn’t full of teeth. Nor does the whale shark hunt flesh, Jaws-like. Instead, it’s a filter feeder that supports its 10-ton body mostly by gulping up microscopic plankton. 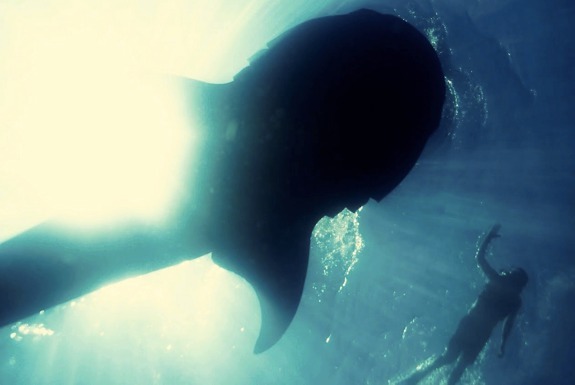 A whale shark’s average life span is somewhere between 70 and 100 years. Sciences have found evidence that whale sharks identical to those alive today plied our planet’s oceans as long as 60 million years ago. The creatures look prehistoric too: they sport five large pairs of gills and two small eyes sticking out from the front of their flat heads. Another quality of the whale shark that becomes immediately clear when you are in the water with one: They are heart-meltingly gentle. It is unclear if whale sharks are oblivious to humans swimming around them or unbothered by the company. Either way, if you can overcome your fear of getting into the water with such a large creature you’ll quickly get a sense that you can swim next to a whale shark and it will cause you no harm. That feeling makes the experience all the more majestic. As a species, whale sharks get around. You can go swimming with them off Zanzibar, Nosy Be in Madagascar, Ujung Kulon National Park in Indonesia and Australia’s Ningaloo Reef, among other locales. But Holbox Island is arguably the best place to swim with these gentle giants. Whale sharks are especially fond of the sea around the mostly-undeveloped island, off of Mexico’s Yucatan Peninsula near Cancun. And their watery feeding grounds can be found with surprisingly predictability. So much so that our tour operator guaranteed we would see them or they’d refund our money (or take us on a tour the next day for free). Gazing upon a whale shark from a boat is, in itself, an amazing experience. Seeing a whale shark at one of the two dozen aquariums around the world at which they are found is pretty cool too. But it is swimming next to one, with you and a whale shark side-by-side in the open water—that makes you go WOW. When: Whale sharks feed off of Isla Holbox from early June until around mid September. 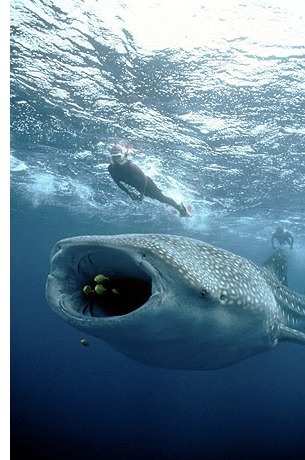 About the tours: The whale shark feeding grounds are about an hour’s boat ride from Isla Holbox town. Most tours include hotel transportation, drinks, lunch and post-whale shark stops at a river lagoon and a coral reef. The better tours limit the number of swimmers in the water with a whale shark to two at a time. Counterintuitively, this arrangement allows you more time in the water with whale sharks (not to mention a more personal experience). Because whale sharks swim faster than people do, keeping up with a whale shark requires a lot of getting on and off the boat. Two people can quickly climb into the boat while the next two people get ready for their turn. Then the boat moves ahead of the whale shark, they jump in while two more people get ready. And so on. How to book: Every hotel on Isla Holbox can arrange whale shark tours for you. So can a variety of travel agents clustered around the main square in town. You may want to book your tour advance if schedule allows for one, and only one, specific day to go for you to go whale shark swimming. Otherwise, you are better off waiting until you get to Holbox and selecting a day with optimum weather conditions—clear water and no rain. Family friendly? All whale shark swimming tour operators on Holbox welcome children. Few advertise children’s discounts but most will offer one if asked. There’s no age requirement to go on a tour but a certain amount of courage is required to be in open water with a whale shark. A certain level of comfort in the water is required also, but because everyone swims wearing a life vest (or wet suit) participants need not be excellent swimmers. A family member who doesn’t (or can’t) get into the water with the whale sharks will still enjoy the tour. Très bel article et les images sont magnifiques! Interesting yes, kind of scary – definition Yes!